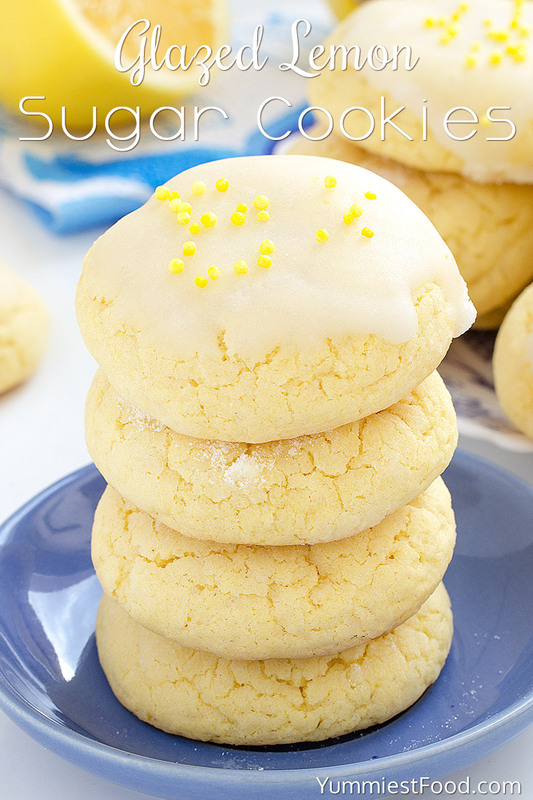 Glazed Lemon Sugar Cookies – so sweet, delicious and refreshing! Perfect way to surprise your family for holidays! 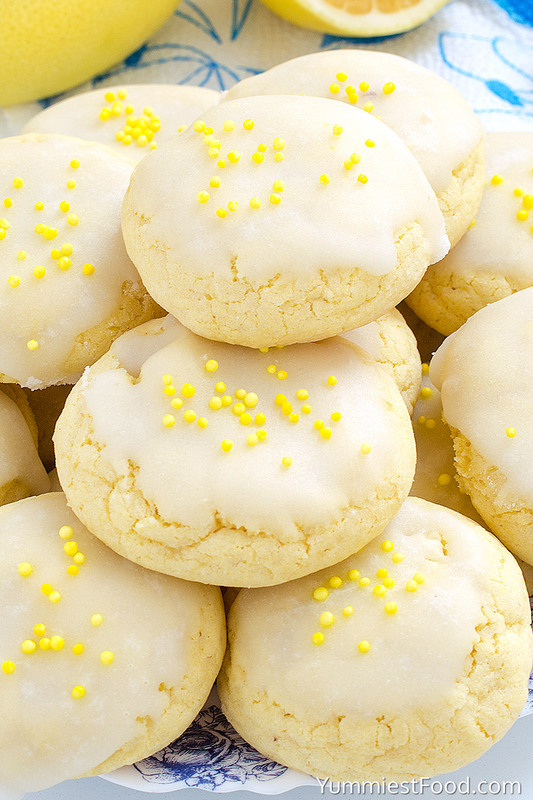 Enjoy in these Glazed Lemon Sugar Cookies! 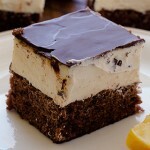 Very easy and quick to make with only few ingredients! You need something tasty quickly and very sweet for these holidays and I think that I have right choice for you, these Glazes Lemon Sugar Cookies. There is nothing more beautiful than table full of these cute sweet cookies, real magic for eyes and your mouth for us who love lemon taste which gives such rich flavor. 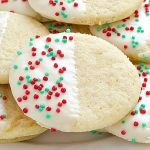 You can make these cookies a few days earlier especially when you make many of cakes and sweets for holidays. 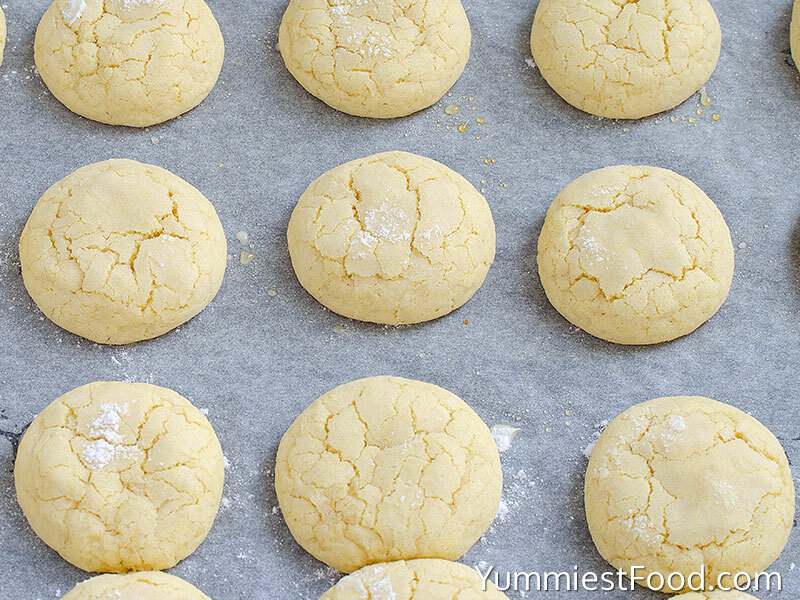 So that is one more reason to make these Glazed Lemon Sugar Cookies. I make them for every occasion which we have in our family and I concluded that anyone who have tasted these cookies like them very much. Guests are surprised of this lemon refreshing taste. So refreshing and this sour taste are really special. I know that we make lemon cookies usually for summer time but I like to make these even in this winter time. This is period of year when we eat many of sweets so I really want to enjoy in this cookies in these holidays. These Glazed Lemon Sugar Cookies perfect match with cup of coffee of tea and that is my favorite. I have this recipe for a long time and I always enjoy when I make it. Of course my children help me when I make these sweet cookies. I like to make my children happy. They like to make dough balls and to roll these cookies in sugar and especially when they decorate cookies. As I talk about this earlier in some of my recipes Lemon Blueberry Bread, Lemon Blueberry Cake, Lemon Cheesecake Bars and Lemon Swiss Rolls my family and I like lemon desserts. For this recipe you need only few ingredients which you usually have in your home flour, sugar, eggs, butter, baking soda, vanilla and lemon. Remember that love is most important ingredient which you need to use. 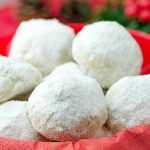 Now, when your holiday preparations are finished I can only wish you to spend holidays in peace and harmony and of course to enjoy in these Glazed Lemon Sugar Cookies. Glazed Lemon Sugar Cookies - so sweet, delicious and refreshing! Perfect way to surprise your family for holidays! Enjoy in these Glazed Lemon Sugar Cookies! Very easy and quick to make with only few ingredients! Preheat oven to 350 degrees. In a mixing bowl, whisk together flour, baking powder, baking soda and salt. In the bowl of an electric stand mixer fitted with the paddle attachment, whip together unsalted butter, granulated sugar, lemon juice and lemon zest until pale and fluffy. Add egg vanilla extract and mix until combined. With mixer set on low speed, slowly add in dry ingredients and mix just until combined. Pour powdered sugar into a small bowl. Transfer to a parchment paper, repeat with remaining dough and space cookies 2-inches apart on baking sheet. Bake in preheated oven 10-12 minutes. Cool on baking sheet several minutes then transfer to a wire rack to cool. 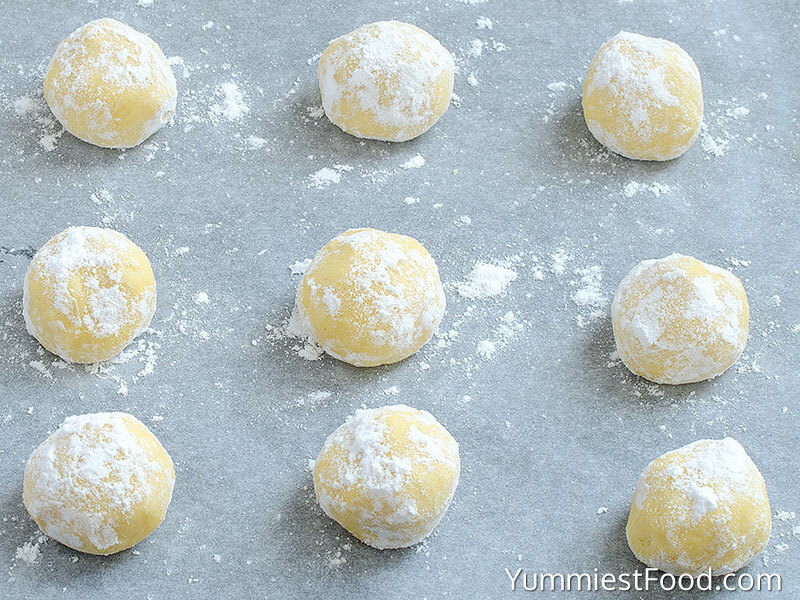 Allow cookies to cool completely before glazing. To a medium bowl, add the powdered sugar, 2 tablespoons lemon juice, and whisk until smooth and combined.